So what’s your outlook for USDTRY next week? Will the pair rebound or test new lows? One thing that I have learnt since looking into forex from September 2012 to the present day is that no amount of analysis works 100%, short or long-term. Regarding no.2, I was right about my assessment of a TRY reversal…only ten weeks too early, so I got blown out of a carry trade that had accrued nearly £2000 in interest. You have to leverage up to work up that carry to something significant, so I managed my trade as best I could but in August the TRY pairs skyrocketed each day higher, setting constantly new all-time highs. I kept trimming my position but eventually got wiped out. Eventually, this pair has reversed but I am done with timing the market. I made some money shorting it in the last few days, and intend to continue shorting… However, politics had a real impact in Turkey so I am watching what Erdogan says or does, as markets invested in Turkey also watch what he says or does. 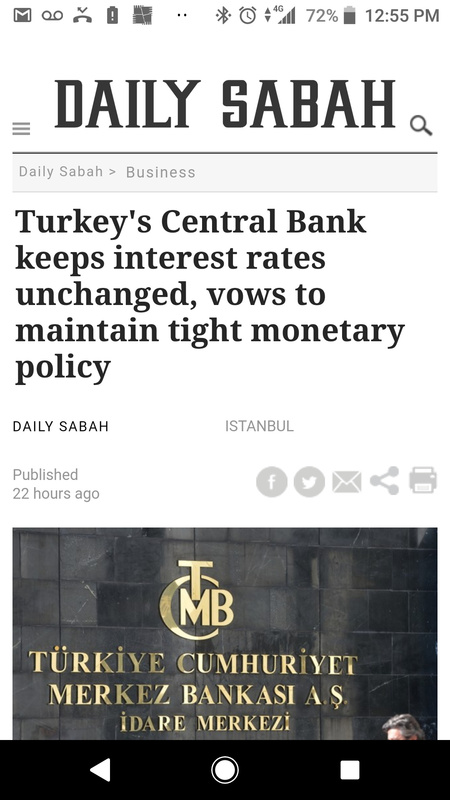 I use NewsNow with the ‘Turkish Economy’ filter, so I get news updates each day from all available sources across many newspapers across the world, all to do with Turkish economic news. I also keep an eye on the central bank’s meeting updates. If a trend like the ten-year bull run in USD/TRY can truly reverse, it needs something more to feed it, not just a lack of Lira selling. I am looking to re-enter a carry trade but my confidence is not so strong, so I am taking positions for a few days rather than weeks, until I see that more momentum builds. This kind of decision-making is so subjective that it is truly impossible to always have full confidence in one’s ability, I believe. Further to this, the lack of clear volume data for TRY pairs - even the TRY futures with CME have very thin data - only leaves you with things like the BIST (XU100) index (https://finance.yahoo.com/chart/XU100.IS), which is inversely correlated to USDTRY, to gauge trend strength, or more significantly the MSCI ETF for Turkey (https://finance.yahoo.com/chart/TUR) which is also inversely correlated to USDTRY and, more importantly, shows volume bars for buying/selling strength. Speaking of the ETF, on 11th October it showed strong buying volume, which also meant a steep drop in USDTRY… I should not say ‘meant’ because it is never a certainty whether it is TRY price that drives stocks down/up or the other way round, in this case. However, with a lack of volume figures for TRY in the futures area, the equivalent MSCI ETF volumes - available all the way down to smaller time frames - do offer some kind of validation of trend either way for TRY trading. I don’t know if it’s of any relevance - but the “holiday season” is now finished until May next year. So no more $20 Visas, Diesel and petrol prices will be falling due to the movement - lowering inflation and there will be way less demand for “Booze” - again lowering inflation. I saw no signs of any Building work, but many unfinised buildings, so I assume the cooler weather will restart some of those projects and probably the materials will be priced in Lira rather than imported ? so internal economy should be helped by that. Also they do seem to have shown some co-operation with US over the “Murder issue” alleged against the Saudis, so perhaps a little softening of US attitudes towards them ? Dunno, I’ve not been watching for long - but it seems we took our holiday pretty much at the right time ! 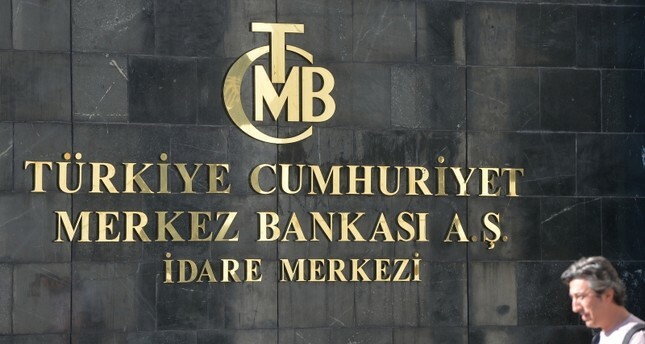 Turkey’s bonds are in Moody’s junk category (Italy is not far behind Turkey now)… Inflation in Turkey is massive and that is a fact…money is essentially worthless and Erdogan is trying to talk up the natiional currency because he knows people are not idiots and have been rushing in droves to sell Liras in exchange for Euros or Dollars. Erdogan is a dictator trying to sabotage a democratic state in every way. He was the darling of the ‘new’ Turkey back in his first years, attracting international investment and goodwill… Money managers are only willing to take so much risk with money in a country run by an unstable leadership, and monetised by a central bank that has lost most of its independence. How was your holiday? Did you get to talk to the locals? Wondering how it’s like for folks over there. Two short trades closed profitably today. and the pair was trending, I would re-enter with a bigger position. just one or two trades per day. Turkey last I checked was #11 in the world in gold reserves. What do you think about elections?? Closed one trade in profit and opened a second at half the risk. 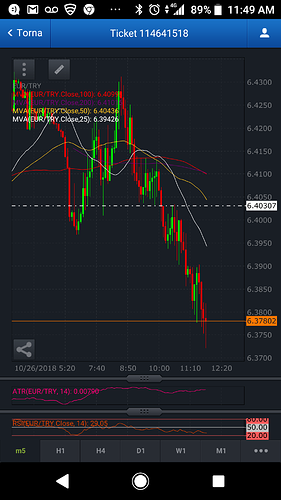 Since opening a new demo (5k) account on 18th October and trading exclusively EurTry I have taken the initial balance from 5000 to 6864. The question is always: trend-trading is easy but how do we know when the trend is over? In this case: when will the currently reversed ten-year uptrend in UsdTry and EurTry resume? Politically, nothing has changed in Turkey since last summer’s spiralling Lira tumble (i.e. massive rise in UsdTry and EurTry): the inflation is still a ticking bomb, and the country’s fx debt is still gigantic. 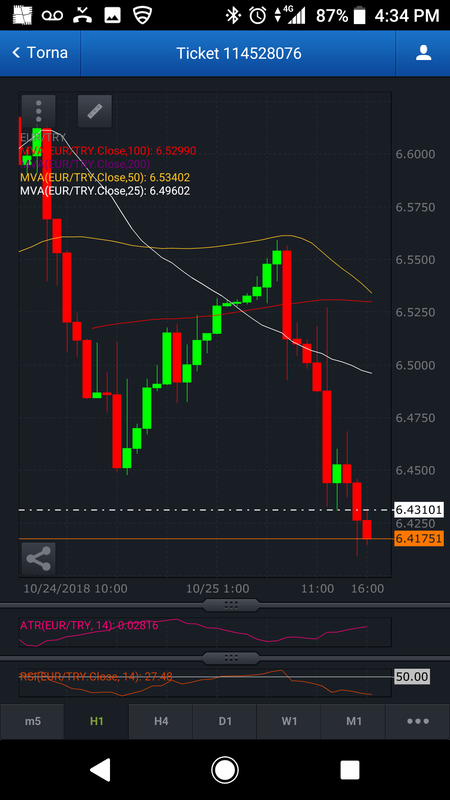 Yet the Lira has experienced an amzing recovery in the last couple of months, so it is now a technical trend unsupported by fundamentals in favour of continued UsdTry and EurTry shorting.